I love this time of the year. The leaves begin to change colors, the weather gets colder, and the National Football League returns to action. Professional football is my favorite sport to watch, and as a native of the Midwest, my Sundays consist of five to six hours of eating snacks and watching various NFL games. This season, there is a lot to look forward to. The biggest thing that comes to my mind is the Philadelphia Eagles returning from their Super Bowl-winning campaign. I am eager to see how Carson Wentz performs, as he is coming off a season-ending ACL tear. Wentz is a premiere talent at the quarterback position, but still has a lot to prove. Last year, he threw for a shocking 33 touchdowns in only 13 games. Entering his third year, Wentz has the potential to become the face of the NFL, as an aging Tom Brady nears the end of his career. 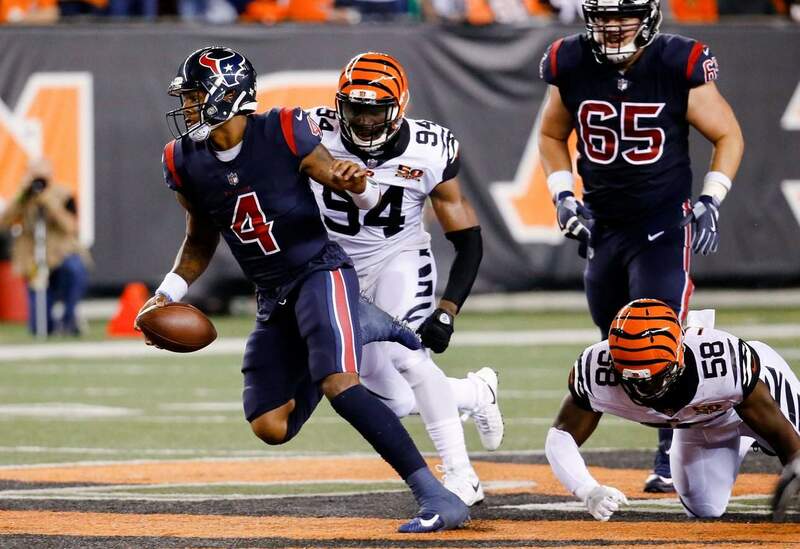 Another young quarterback coming back from a torn ACL is Deshaun Watson of the Houston Texans. Watson, an exciting playmaker, needed season-ending surgery during his stellar rookie year. Racking up 19 touchdowns in seven games, he made a definite statement of his skill to the NFL. In football, defense wins championships, and the defense with the best chance to take home the Lombardi trophy is the Los Angeles Rams. The young, stacked unit added multiple big names this offseason. Some stars coming in are corners Marcus Peters and Aqib Talib, as well as defensive tackle Ndamukong Suh. Adding three All-Pros to an already stellar defense will propel the Rams and head coach Sean McVay into what looks to be an incredible year. On the other side of the country, deep in the heart of Pennsylvania, the Pittsburgh Steelers prepare for another year full of high expectations. Most analysts will not have the Steelers high on their board of teams likely to go all the way, but I believe teams with elite quarterbacks have better chances to win the Super Bowl. Ben Roethlisberger has proven himself over and over again in the postseason, despite consistent locker room issues during the regular season. I trust the Steeler offense more than any other in the NFL. Le’Veon Bell and Antonio Brown highlight a stacked arsenal that possesses enough power to win games solely on the offensive side of the ball. In a smaller market, the Minnesota Vikings looks to build on their successful 2017 campaign. Following the Minneapolis Miracle, the Vikes have even more potential than last year. This offseason, they acquired quarterback Kirk Cousins and defensive lineman Sheldon Richardson. In addition, Dalvin Cook returns to the running back position after a torn ACL sidelined him during his rookie season. The Vikings defense is stellar, highlighted by stars like defensive end Everson Griffin and defensive backs Harrison Smith and Xavier Rhodes. Similar to the Rams, Minnesota is an early favorite to go to the Super Bowl. A recurring theme in the NFL is how the NFC consistently overpowers the AFC in terms of talent. There are simply a larger amount of good teams in the NFC than the AFC. This year is going to prove this once again. Here’s a good comparison: the Saints, Vikings, Rams, and Falcons all made the NFC playoffs last year. The AFC included the Titans, Bills, and Jaguars. Every single one of those NFC teams were better than all the AFC teams listed. The coaching, the physicality, and the pace of play are all so much better in the NFC. Why do you think Tom Brady racks up AFC Championship trophies so easily? It’s because the AFC does not compete like the NFC does. If the New England Patriots had been in the NFC the past decade, I guarantee that Tom Brady would only have half the amount of AFC Championship wins he currently has. In the past decade, only one NFC team has won more than one conference championship — the Seattle Seahawks in 2014 and 2015. During that same time period in the AFC, there were only five teams that won the conference. I predict this imbalance will continue for the next season or two. It’s a blessing that football is back but not just for fans. The news media is sure to have a frenzy this year, as management-player relationships are currently on the hot seat. With all the national anthem buzz and Nike announcing they have been paying Colin Kaepernick, making him the new face of their “Just Do It” campaign, there is bound to be some pushback from players against front offices. Whether you see this as good or bad, it is probable to happen, but when the stadium lights come on, and that cheesy Monday Night Football theme song starts to play on your TV, one thing is certain: you are ready for some football. Ben Owen can be reached at bowen@wesleyan.edu and on Twitter at @benjaminowen28.